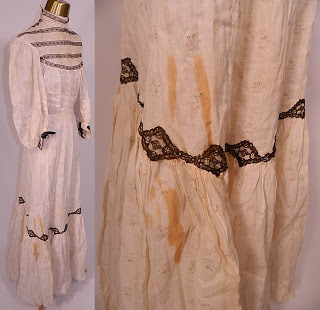 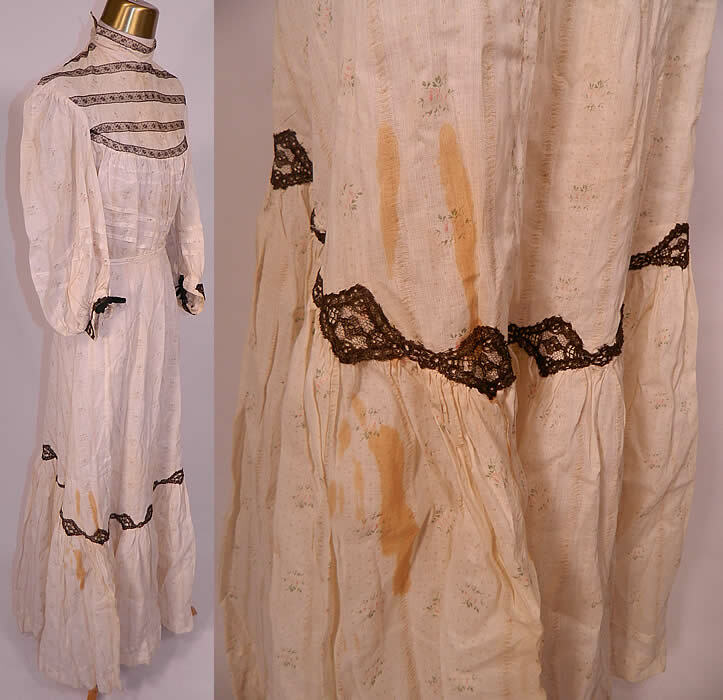 This is a vintage antique Victorian era summer dress. 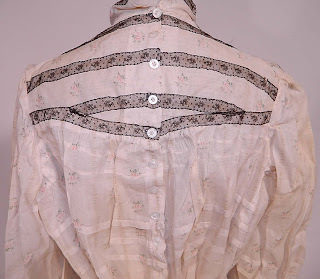 It is made of a off white cream color cotton fabric with a pink floral rose print and black lace trim edging. 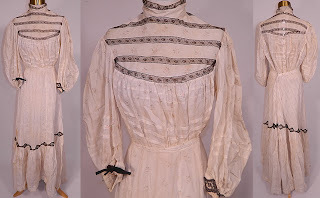 The two piece dress is a large size, has a pleated blouse with high neck collar, long sleeves, ribbon tie cuffs, mop button back closures and a long floor length full skirt with hook closure back. 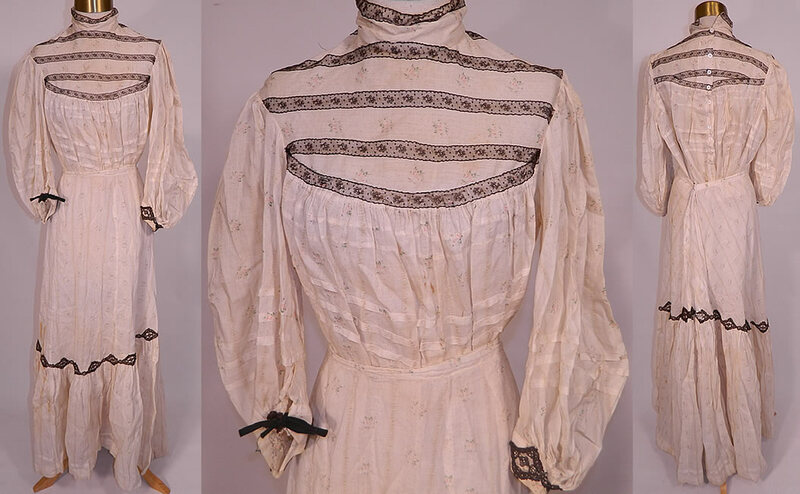 Measurements: Blouse Length 24" bust 40" waist 60" Skirt Length 39" waist 30"
Early 1900's based on the sleeves (3/4!) 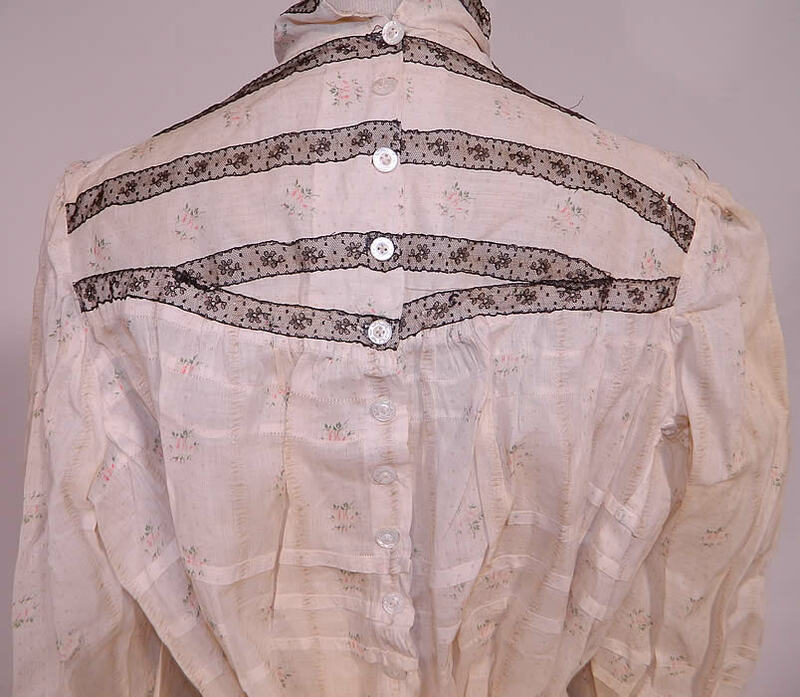 and bodice styling.